After a busy summer season of growing and producing, the garden needs some attention in the fall to maintain its beauty and health. Many gardeners do all the heavy lifting to prepare a garden in spring, but planning and planting a garden in the fall is not only good for your garden, it’s also economical! 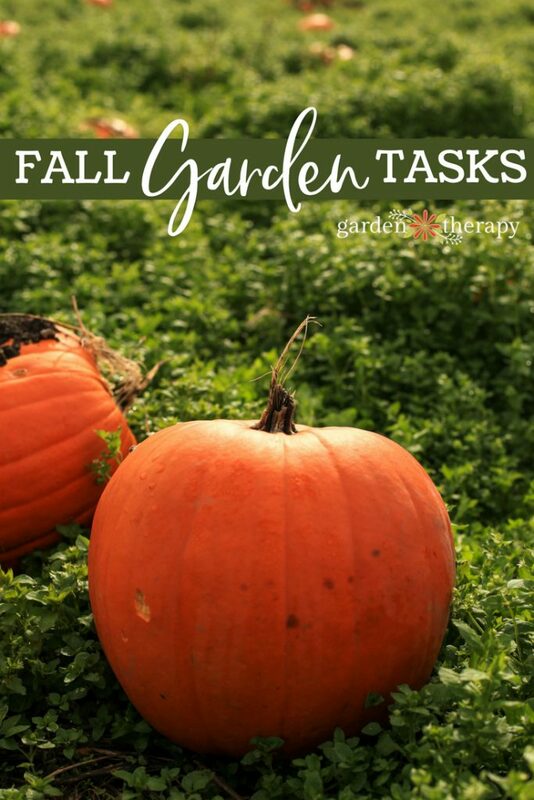 There are a few simple fall gardening tasks that can make all the difference. Read on to see how I work the garden every fall, building structure and health as a foundation for the next season. While I certainly don’t remove every seed head and leaf from the garden, it’s good practice to remove any diseased plant material or fallen fruit to stop the spread of pests and disease in the following year. This job should really be done throughout the year, but in fall it is especially important to remove anything that would like to overwinter in your garden and can cause you problems in the spring. 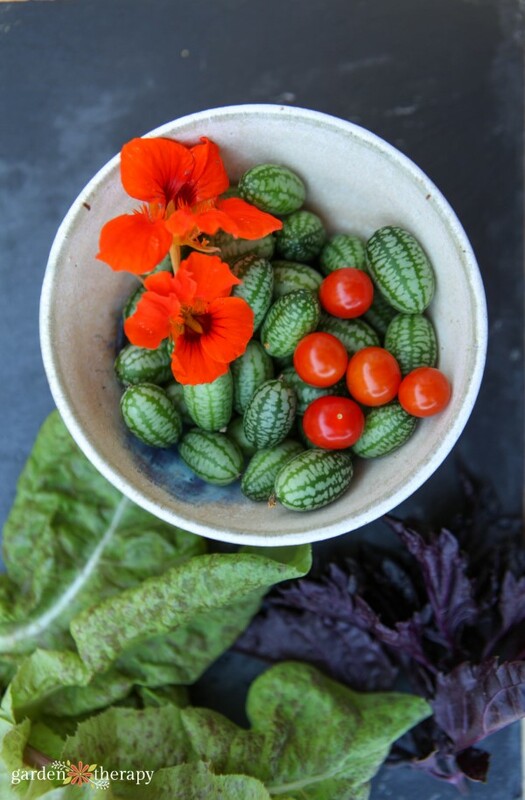 The garden has been working hard all summer to produce and has drawn a lot of nutrition from the soil to make those gorgeous blooms and tasty fruit. Give some of that nutrition back by amending garden soil in the fall. Make your own compost at home using a compost bin to turn leaves, food scraps, and more into a soil amendment. Spread the compost around the garden and scratch it into the top 1”-2”of soil. From there, it will do the hard work for you. For more detailed instructions on amending your soil, see this post. 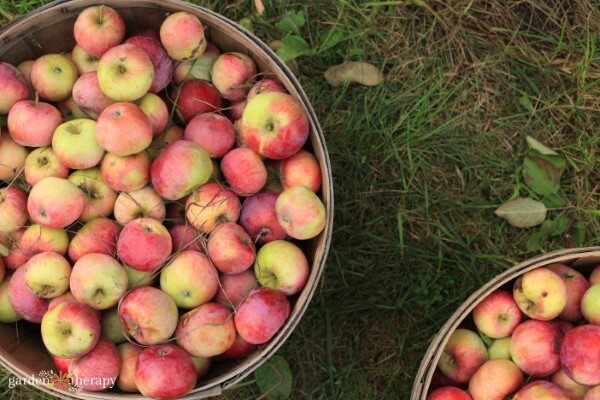 Possibly the most exciting garden task in fall is harvesting. 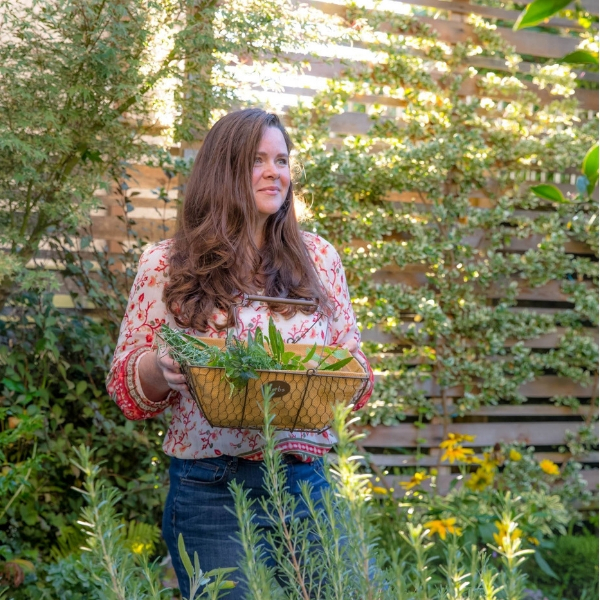 With armloads of fresh flowers and baskets of produce everywhere, you are set to the task of reaping what you have sown back at the beginning of the gardening year. 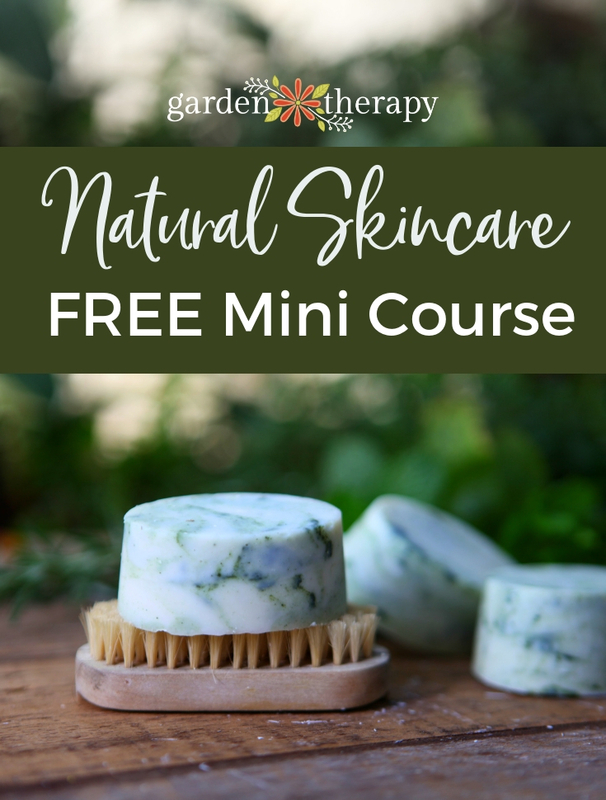 Celebrate your success and then get down to the business of harvesting and preserving herbs, vegetables, flowers, and seeds for future gardens. Not all perennials need to be cut back, but take stock of those that are looking overcrowded or too large for the space. Those are free plants! Many perennials thrive by being divided, especially if they are crowded. To divide perennials, dig up the plant and all of its roots. Then, gently shake the soil from the roots and look for where the plant can easily be split into divisions. Plant those around your garden in the fall and they will look gorgeous next year. See more on dividing perennials here. Mulching in the fall creates a warm blanket on the top of the soil that slowly breaks down into humus that will feed the soil. If you have deciduous trees on your property, mulching is easy. 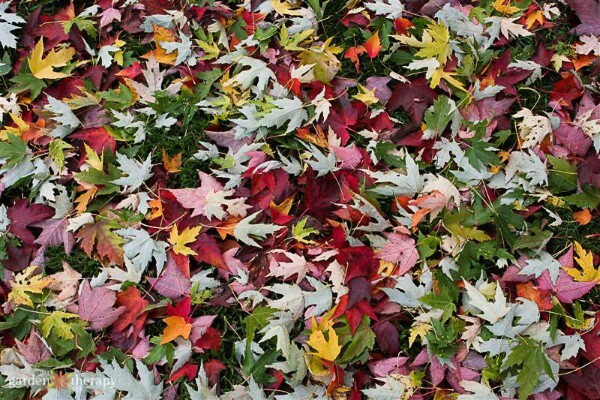 Let the leaves fall on the garden and leave them there as mulch. You could also mulch leaves with a lawnmower or leaf vacuum, and spread the chopped-up leaves on the soil. In the spring, the mulched leaves can be left in place when you add a layer of compost or top soil. They will continue to feed the soil as they break down. Another way to build your garden economically is to shop for new plants in the fall. Many of the garden centers will be closing their doors for the year, or at least moving out the warm-season stock. They don’t want to spend the time and effort taking care of the plants until next spring, so they will be heavily discounted. Even better news is that fall is the perfect time to plant perennials, evergreens, trees, and shrubs! If you have any special plants that aren’t the right hardiness for your zone, now is the time to move them inside to a garage, greenhouse, or inside the house. Fall is a great time to give your garden tools a good scrubbing. Wash hand tools like trowels and rakes with soapy water and a scouring sponge. Use a power washer to get large tools really clean. 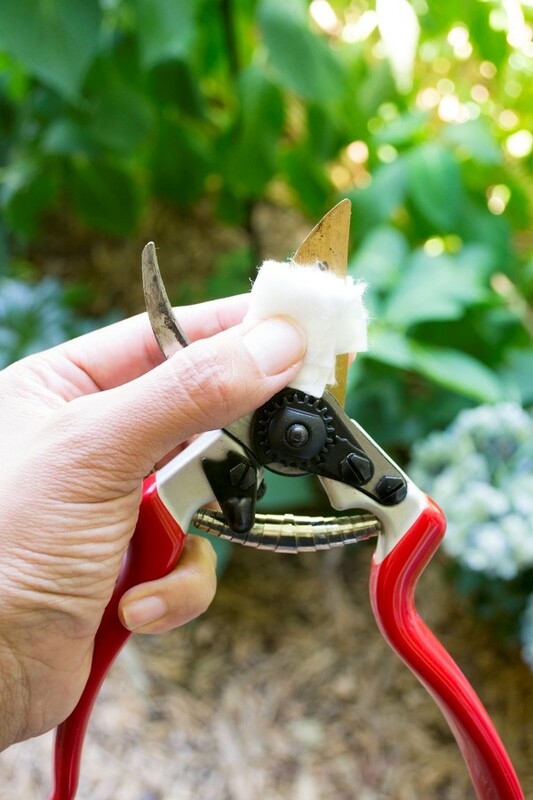 And take good care of your pruners with these tips to clean and sharpen pruners. Don’t forget the water! Your fountain or pond will need some fall care as well, which you can see how to do in this guide. Leaving parts of your garden alone completely is also a beneficial thing to do! Let leaves go yellow and seed heads harden. Be sure to leave plenty of healthy plant material in your garden to feed garden wildlife over the winter months. Plants naturally drop their leaves to feed the roots as they decompose. Be sure to leave some of the leaves on the soil until spring so the plants can get their nutrient boost! Seeds left in the garden provide food for birds, so allow some to drop and stay. Beautiful seed heads (like alliums) also add winter interest and you will be grateful to have not cut everything back to the ground. 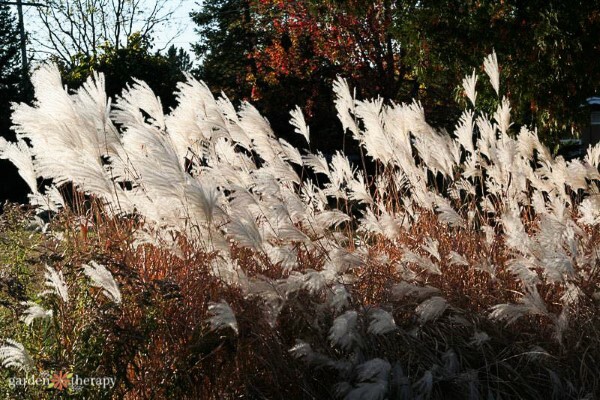 Grow These Fall Perennials for Brilliant Autumn Color! Your guides are always so helpful! I have to say I also really like the photographs you’ve chosen for this article too. very autumnal.